christmas - Doctor Who Screencaps - It's Timey-Wimey!Doctor Who Screencaps – It's Timey-Wimey! DuckMeHarder celebrates with a paper tree adorned with silhouette ornaments. thisbenikkit celebrates with holiday cards. Also, Blogtor Who just posted the new titles for The Snowmen. Now, this is just silly. I’m starting to wonder if The Snowmen is the most clipped, trailered, and prequeled thing ever. In other news, I feel like a Scrooge today. My give-a-heck feels broken. Blargh. Vvfrosting and misscp and iarrkaty celebrate with cookies. 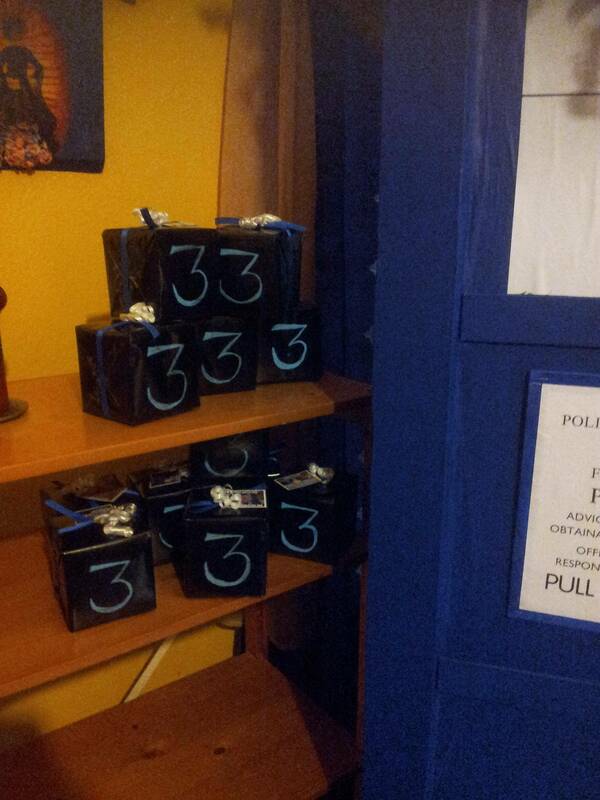 How do you celebrate Christmas, Doctor Who style? A new prequel for the Christmas Special is posted. I snerted. It’s pretty funny what sorts of things a Victorian fellow can handle, and what ones he can’t.